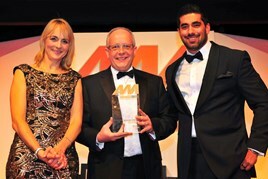 Climbing the stage at the AM Awards 2015 to collect the Manufacturer of the Year trophy was a proud moment for Andy Barratt, chairman and managing director of Ford of Britain. As sales director at the time, Barratt messaged his then company chairman, Mark Ovenden, to share the news, which quickly spread to its other directors and was communicated the next morning to staff at its Brentwood headquarters. Ford’s dealers voted for it because it has brought excellent engineering, dynamics and technology into the mainstream, with a broad series of products that can target the premium brand down-sizer just as capably as the consumer buying their first new car. It is a dominant force in retail and fleet, and has developed a range of added-value innovations for its customers. Barratt said while Ford is very sales-oriented, it is also very customer-oriented. “We have to be absolutely right for the customer, because customer loyalty is key to this business,” he said. He sees every customer letter or email, and says every action Ford takes is measured for impact on the customer. There are more than five million people in the UK with Ford products and Barratt said the manufacturer feels a sense of social responsibility to them. “These people are either running their business, getting their kids to school, going to work, looking after elderly parents or running their domestic life, and relying on Ford. To conduct their life, 8% of the population is reliant on us as a business and we have to organise ourselves around that,” he said. The front line is the retail network, and Ford has to ensure dealers are equipped and trained to serve customers to the highest degree. Current areas of focus include the Consumer Rights Act and Alternative Dispute Resolution. Barratt wants dealers to exceed the requirements of the act, and exceed the expectations of the customer. He wants Ford’s dealers to win “trust and love” from customers. He said that means moving away from a “promiscuous relationship” where the dealership only contacts the customer when it wants to sell them something, to an enduring relationship where the customer loves the dealer. Barratt, who has visited every one of Ford’s dealers in his 35-year career with the brand, cited one partner whose loyal customers phone up to order a new car, without even discussing the price, and say they’ll call in later to sort out the paperwork. Ford of Britain has taken measures to broaden the support it offers customers, including Transit 24, which offers early morning and late evening servicing for LCVs, and a trial of mobile service vans in partnership with TrustFord in London to provide service and maintenance at the customer’s chosen location. Other changes included extending the working hours of its UK-based customer relationship centre, which previously operated only in office hours, and measurement of the time taken to close any complaints cases, with the aim of resolving issues more quickly. In aftersales, the brand has added value for customers with 12 months’ free European roadside assistance with every scheduled service taken at a Ford franchisee. Its Ford Motorcraft programme also targets owners of cars aged 4+ with discounts on servicing, MOT tests and common maintenance, such as brake pad replacement. Motorcraft services have risen 149% year-on-year, with huge growth in online bookings. A key strength for the franchise is the breadth of its car and LCV range. The quantity of highly rated reviews and product awards suggest the Ford product range leads the mainstream for driving dynamics and driver comfort. As the race to keep ahead of customer expectations continues, its cars are being equipped with technology once seen only in the executive segment, such as connectivity through its Sync system, perpendicular parking assistance, and active city stop to reduce low-speed urban collision. Ford’s exclusive innovations have included Sync, the Quickclear heated windscreen, inflating rear seatbelts in the new Mondeo and efficiency-focused Ecoboost small-capacity engines. In the NFDA survey, Ford dealers rated the carmaker highly for product introductions. The unveiling in 2015 of niche halo products, such as the Mustang, GT supercar and premium-wannabe Vignale versions of its bread-and-butter cars, have shown the UK’s car-buying public that Ford will not just sit back and let the ambitious Korean and Japanese brands gain on its heels. Its latest Kuga, Mondeo, S-Max and Galaxy are engineered and specified to win back some of the custom lost in recent years to the likes of Volkswagen, Škoda and even BMW and Audi. 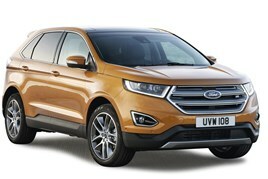 Next year, Ford’s dealers will begin selling the Edge large SUV, a flagship Focus RS, and a new Ford Ka. Larger than the current model, the new Ka is a value-priced entry-level product that’s expected to boost sales significantly. With PCPs transforming the retail market, Ford’s Options plan is credited with originating the product 22 years ago. Barratt said the network is using it well – 80% of their retail sales are through PCP - to help more customers access a new car, to help bring repeat business, and added that the shortening of the buyers’ ownership cycle provided dealers with a good supply of used cars. With the AM Award for Manufacturer of the Year now proudly held at Brentwood, Barratt hopes the brand’s innovation and expansion in 2015 will bring him back onto the stage in 2016.